And while the first How to Train Your Dragon film in 2010 didn’t dive headfirst into trauma, nor did it skirt around the issue. We began the films with Hiccup (voiced by Jay Baruchel) as a gawky teen in a Viking village whose fondness for dragons make him a reluctant heir to his father, the village Chieftain, Stoick (Gerald Butler). 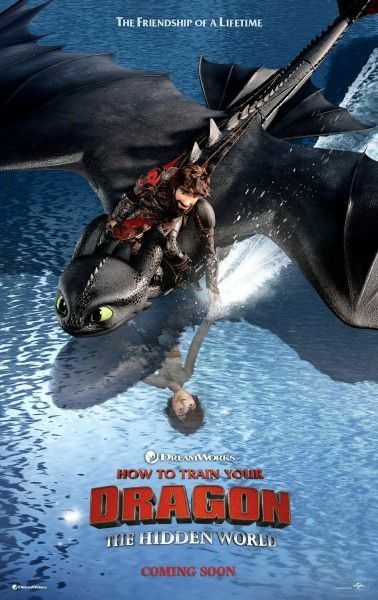 After bonding with a crippled dragon named Toothless, Hiccup is forced to adapt to brutal realities: in the first film, he loses his leg; in the sequel, his father. 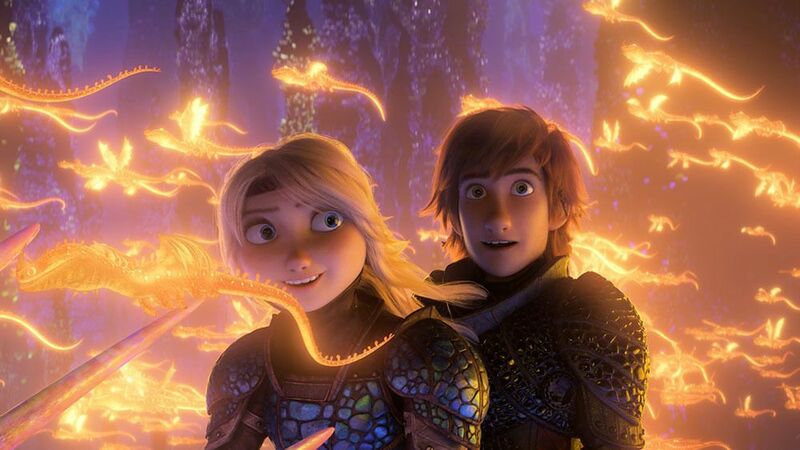 How to Train Your Dragon 3: The Hidden World approaches the idea of loss very differently as Toothless meets a potential mate and discovers a new world that is free from the human threat. Sometimes a loss isn’t something being taken from you, it’s something you learn to let go of. 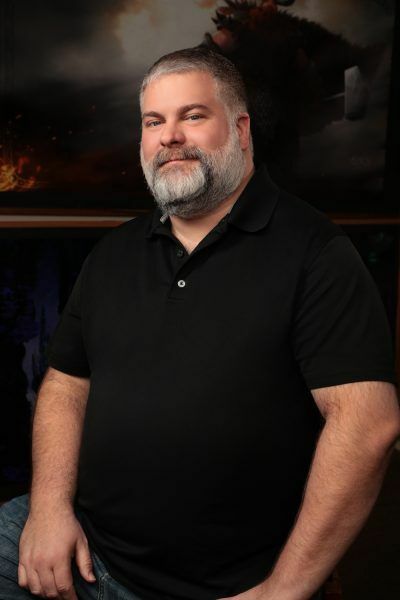 It’s a tough theme, and one that the trilogy’s director and writer Dean DeBlois has been grappling with as he closes the book on his part in the franchise. We sat down with Dean two weeks before the premiere of the film to discuss working with famed cinematographer Roger Deakins, the franchise’s dragon-identifying fans and his bittersweet farewell to the world of Toothless and Hiccup. Collider: This movie was just stunning to look at it. What was it like working again with Roger Deakins as a visual consultant? DeBLOIS: It was so great. He’s such a soft-spoken and mild-mannered guy but so full of wisdom, it’s like a Masterclass every time he spends time with us. He’s been working remotely, but when he is in town he’ll spend an entire day and meet with every department. Once again, he was involved with every department, creating these mood boards of photo references; everything from a sense of mist or atmosphere to pallets. Then working with the camera department in setting up shots and talking about combining some, different perspectives…then all the way through to the end, working with our production designer and visual effects designer to fine-tune the lighting and make sure every sequence has a strong identity. Collider: What is the development process like from conception to screen for animation? Do you imagine these – like that of the hidden world in– your head and try to explain them to the storyboarders? Are you ever surprised by the final cut? DeBLOIS: Everything is an embellishment, so we’ll start conceptually. From the writer point of view, I’ll sit down with the production designer and say “Here’s what I’ve imagined, here’s its story’s function,” but that will set his brain on fire and he’ll come back with all these ideas we’ll discuss. Like for the actual hidden world, I told him about a dream I had, of a hole in the sea. We started talking about it, and we’re like “Okay, conceivably that could be an undersea volcano.” That it was this doorway to the hidden world you could only access if you’re on a dragon because otherwise, you’d sail right off. And that doorway might open up to tunnels and chambers. They might have bio-luminescent fungi and this salty, damp atmosphere where coral might grow in mid-air. It just keeps expanding. Then the production designer and his art department might start doing paintings, so we get of what it’s going to be. But when you see the final images and all the subtlety of lighting, it inevitably is something more than I could have dreamed up. Collider: What were the biggest changes made during the production? There was a Drago B-story that got cut. Anything else? DeBLOIS: Ah yes, Drago was the villain of the second movie, who was going to have another facet of his personality…he was going to show himself to be multi-dimensional in this story. It wasn’t even a B-story, it was a C-story, and the time it would have been needed to really care and feed that story-line to make it convincing and credible would have detracted too much from our limited screen-time that was devoted to Hiccup and Toothless’ story. So it was abandoned as an idea, but that was maybe one of the bigger changes. Collider: Let’s talk about the villain inthis story. Grimmel (played by F. Murray Abraham), has a line early on about how dragons are all thieves and murderers. How the word should never get out that we should think of them as equal. That language sounds very familiar after these last couple of years. Does Grimmel represent any commentary, political or otherwise? DeBLOIS: He is definitely reflective of our times. He’s elitist and very staunch and firm in his beliefs. He’s very immovable. Hiccup is all about evolving and being inclusive, figuring out how to get along. Just as a base nemesis to that philosophy, Grimmel is just going to try to eradicate anything that brings that idea into this world. Collider: And yet he uses dragons as well, which seems like a base sort of hypocrisy. DeBLOIS: Right, right. I think even him just calling them murderers. They’re not just killers…dragons don’t kill to survive. He acknowledges them as sentient beings. Collider: Going back to what you said about multi-faceted characters, I know that you outted Gobber–Craig Ferguson’s character–after a line or two in the last movie. I think that makes Gobber the first confirmed gay character in a mainstream animated film. DeBLOIS: Actually, I think ParaNorman came out before us, and there’s a character who comes out at the end of that one. Collider: Craig was telling me that he had essentially improvised that line, and that afterward you two had a discussion about it. How much did that go into how you wrote Gobber for this film? DeBLOIS: I think it was as important to me to normalize him. I’m a gay man…I’m not out and loud and proud everywhere I go, declaring myself gay. It’s part of who I am, and okay, I go about the rest of my life. I thought it was a nice bit of character enrichment to have Gobber come out in Craig Ferguson’s little ab-lib, and beyond that, he’s still the wise-cracking uncle type whose full of bad advise and always in there with an opinion. I love that primarily about his character. So there are little playful hints here and there, but it’s not anything that was going to be an agenda.